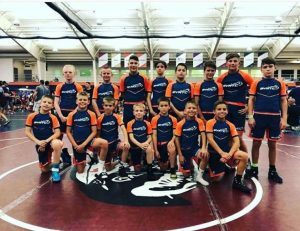 All wrestlers participating in the BVRTC Club practice must be current athlete members of USA Wrestling. Verification of current USA Wrestling membership must be completed prior to a wrestler’s participation in practice. Per NCAA rules, all High School wrestlers participating in BVRTC Club practices must legally reside within 50 miles of 701 Moore Avenue, Lewisburg PA 17837. All wrestlers participating in the RTC practice must meet at least one of the following competitive accomplishments within the last five calendar years, and must be current athlete members of USA Wrestling.